It’s important to really know and understand your skin type—dry, oily, dehydrated, combination… Skin type can vary depending on several factors like stress, pollution, living environment (heating, air conditioning), weather, or even hormonal changes. So it’s important to keep an eye on your skin to understand just what it needs. Treating your skin with specialized, quality skin care ensures the best beauty results. To help determine your skin type, simply observe how it behaves when you wake up in the morning. If your skin has a soft, smooth and even appearance, with few blemishes, you have normal skin. If your face has a shiny appearance, you probably have oily skin. This means it produces too much sebum and is prone to blemishes. You can address this problem by purifying skin regularly with a mild exfoliator (to mitigate sebum production) or appropriate mattifier. If your skin looks thin, feels sensitive and tight after cleansing, you might have dry skin. If it appears dry on the cheeks and temples, but oily around the T-zone (forehead, nose, and chin), you probably have combination skin. You may also have dehydrated skin, which is often confused with dry skin since it presents almost identical symptoms. Therefore, when the first lacks moisture, the latter lacks oil (not enough sebum is produced). Dehydrated skin is characterized by flaking and irritation and can quickly become sensitive to its environment. In fact, if you notice redness on or around the cheeks, or notice small veins and feel that your skin reacts quickly to the slightest irritants, you probably have sensitive skin. Once you know your skin type, the next step to beautiful skin is cleansing. It’s important to cleanse skin in the morning and evening, whether you wear makeup or not, to remove impurities that clog pores and cause blemishing. Failure to cleanse skin can lead to cellular breakdown, increased sensitivity, and an overall sensation of drier skin and enlarged pores. Use gentle products on the face and eye area, and follow up with a skin care cream if your skin feels particularly sensitive or dehydrated. A quality cleanser allows you to prep your skin for the next beauty care steps. After cleansing, apply serum(s) to targeted areas or over the entire face (as needed). For optimal results, apply regularly morning and/or evening, depending on skin type or need. Formulated with highly concentrated amounts of active ingredients, serums deliver powerful action to effectively target specific problem or areas. 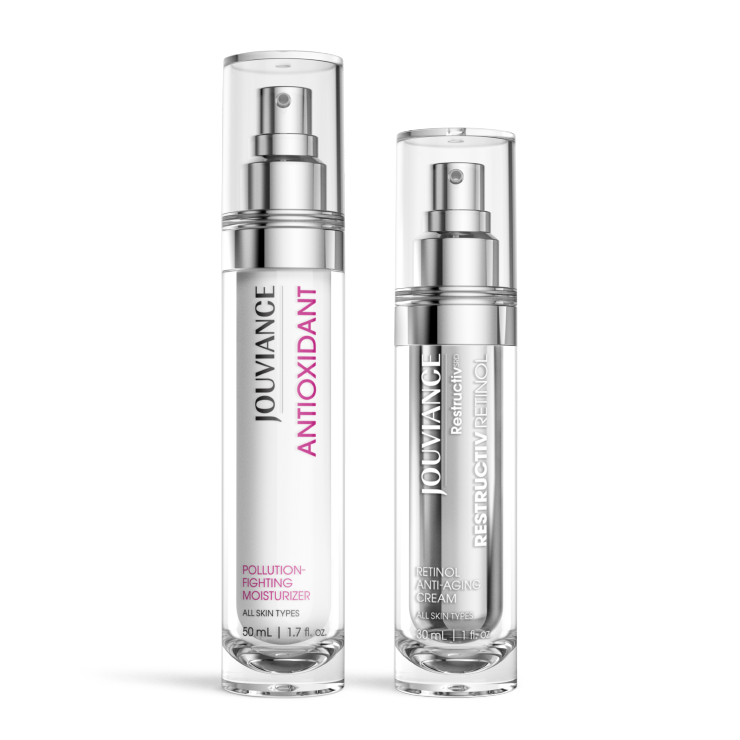 Serums help complement, enrich and enhance the effectiveness of your day/night creams. Indeed the Serum + Cream duo works synergistically to boost and treat skin. Choose a serum that works best for your skin type and fits in with your specific skin need. Choose a formula that suits your skin type, or according to season. In winter: treat skin to a rich, milky texture. in summer: treat skin to water- or gel-based textures. Normal to dry skin: Cleansing Milk. Combination to oily skin: Cleansing Gel. 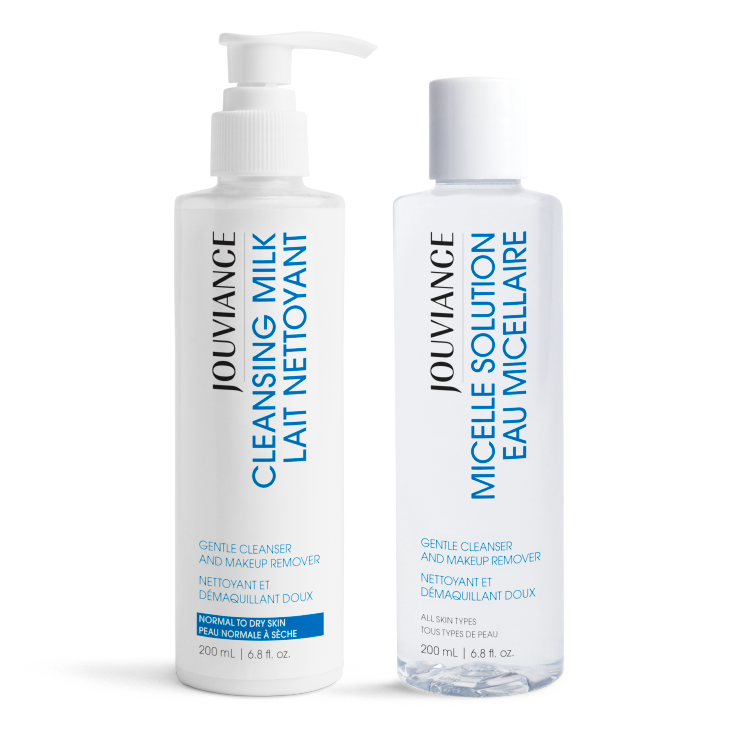 Jouviance cleansers are convenient for the shower or in your gym bag. Micelle Solution is perfect for quick and easy makeup removal. 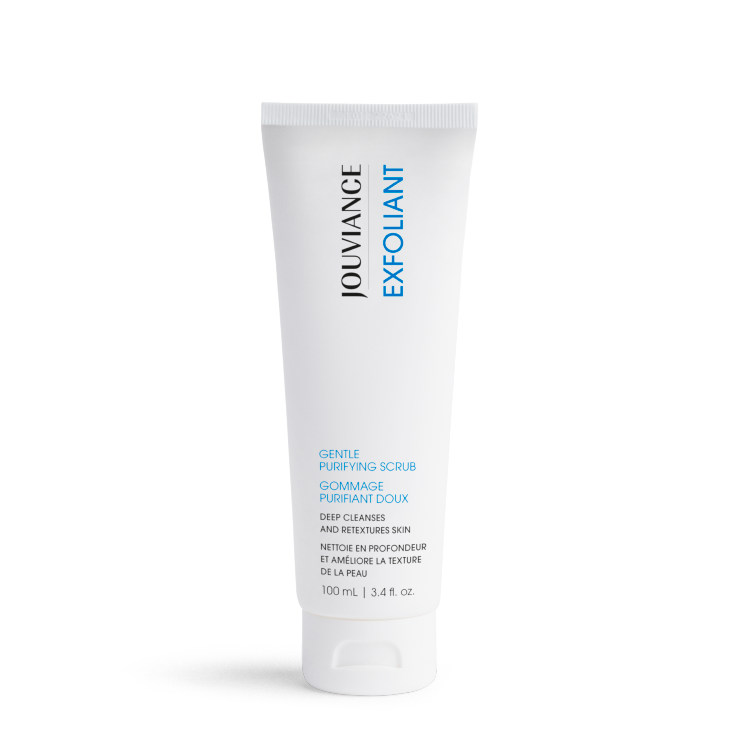 To reduce the appearance of dark spots, apply Correct Serum immediately after Exfoliant. To get a brighter complexion, apply Antioxidant as a mask after Exfoliant. Morning and night — apply on a cleansed face. During prolonged exposure to sunlight, apply SPF 30 protection in the morning before makeup. 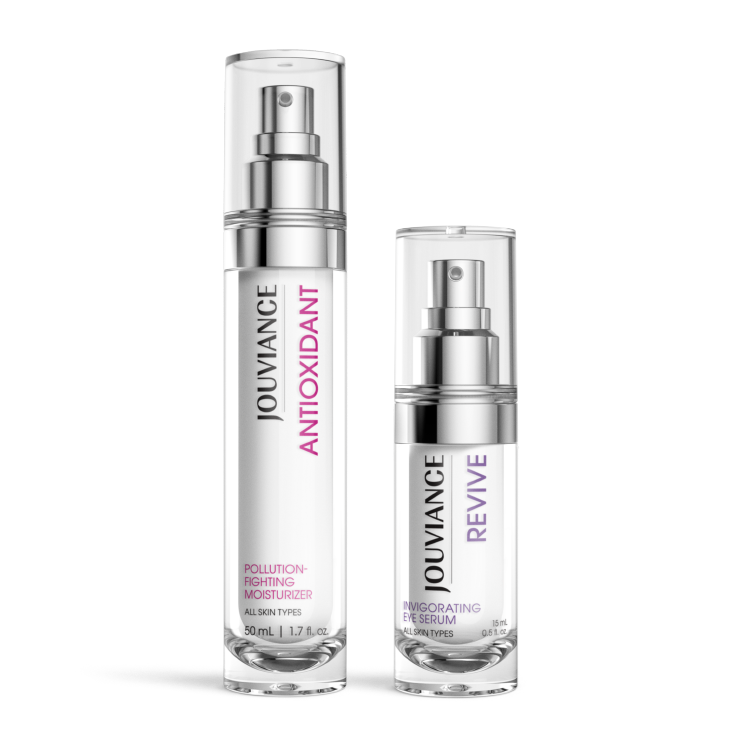 Since retinol is not recommended for skin with rosacea, Restructiv Retinol Coactive Anti-Aging Formula can be replaced by 3-in-1 Anti-Age for this Beauty Routine. In the morning, always apply a sunscreen with a minimum SPF of 50. Complements aesthetic treatments like Botox, hyaluronic acid injections, and laser treatments. Increases hyaluronic acid production by 174%. Since retinol is not recommended for skin with rosacea, RestructivSRD Collagen Boost can be replaced by Anti-Wrinkle for this Beauty Routine.